One company has decided that electric lamps shouldn’t be having all the fun when it comes to lighting the app-controled home of the future, so it’s come up with one of the strangest (and most interesting) ideas we’ve heard in a while: smart candles. 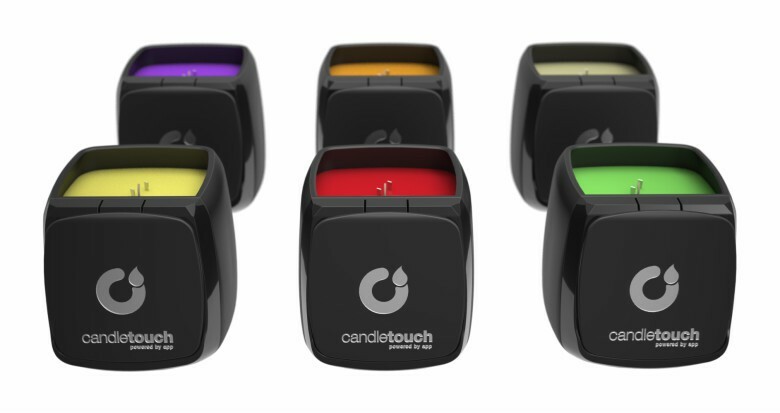 Candle Touch will let you control the actual fire on a real, wax candle from an app on your iPhone or Android device. And the company assures us that it will all be safer than that sounds. The new devices are making their debut at Web Summit 2015 in Dublin next week, and their remote control functions run on Bluetooth. They ignite using devices embedded in the wax (those two contacts on either side of the wick in the picture above), and when it’s time to put them out, you can either enter the command in the app or just blow into your device’s microphone. A motor in the housing will cover the top of the jar with a lid that will smother the flame. And if you’re the kind of person who is likely to leave a candle unattended, the lights are designed to extinguish themselves if you leave the 30-foot communication range. It’s a smart move, especially considering you’re dealing with actual, potentially dangerous fire. This idea is pretty impressive, and it’s a cool combination of new and old tech. And yes — the candles are scented. The company says the first batch will include vanilla, lemon grass, lavender, patchouli, melon, and amber, and while we’re not entirely clear on what “amber” smells like, that’s still a pretty comprehensive line-up. No word yet on how much all of this will cost, but we expect to have more details with Candle Touch launches its crowdfunding campaign to finish production next month. In the meantime, you can sign up for more information on the company’s currently bare-bones website. This entry was posted in Apple news and tagged Candle Touch, Web Summit 2015. Bookmark the permalink.